Adam Culp (RunGeekRadio) tells his predictions for what may be in store for PHP development in 2019. He also shares what his challenges were in 2018 that prevented him from podcasting more, and informs what his future plans are. #10 – PHP will see larger API creation footprint in 2019, and wider adoption of standards that gained momentum in 2018. Adam Culp shares his latest schedule for speaking and a his recent realizations from dealing with poor contractors for his new home. Then reflects on how this has helped him focus more on how he deals with customers, as a web developer and consultant. This episode shares thoughts about how developers can often find themselves wasting time while tracking down an issue even though a quick refactor might fix or highlight the issue, saving themselves and their company time and money. We also talk briefly about debugging and the time spent setting up an IDE to allow easier debugging of an application. However, IDEs are not making this as easy as we’d hoped. Adam will be posting to his blog, GeekyBoy.com, when he completes some step-by-step scripts on how-to. Adam Culp also updates on his running and activity status, and the progress of his physical therapy for the shoulder injury. So many startups attempt to skip the crawling stages and the MPV (minimum viable product) as they push to become successful. Just as many developers attempt to skip the vital stages of learning and forge ahead to create bugs, security holes, and poor code. 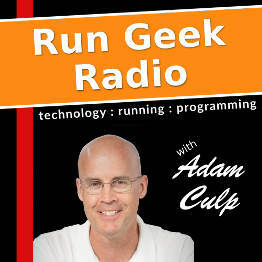 Adam Culp, the host of Run Geek Radio, talks about how important it is to crawl before we can walk. Also covered is the ZendCon and SunshinePHP preparations and status of Adam speaking at some other upcoming conferences. Plus a brief update on the running front and training. Escaping variables in PHP is as important as ever, and developers can sometimes forget about it when using a modern framework. Adam Culp, the host of Run Geek Radio, talks a little about common pitfalls and how to handle them.